5-9-12 DREAM - I don't know where I was, but I was amongst huge groups of older teens, and we were in some kind of camp. We were inside an enclosure made of black wire, which I told the supervisor I had helped my Father build. There were approximately 400 to 500 teens in each group and I saw four groups from where I was - and we were all stark naked. As I recall, I saw no one who was fat in these groups. We were all built similarly to each other and nobody even cared or noticed that we were naked or where we came from either. We were all more interested in what we wire to become - though I don't know what was expected of us either. In the beginning, we were all looking outward of the wire room we were in, clinging to the wire and staring out at a large parade ground which was empty, but from there I could see the three other wire rooms in the camp with all the naked teens in each one. All tolled, there had to have been at least 1500 to 2,000 teens gathered there. We were all talked to, interviewed individually by older men in their 30's and somehow sorted out into smaller groups - still all naked, but eventually we sat on chairs in a room where there were tables and desks and magazines and catalogues were passed out from which we could choose brand new clothing. As I recall, I chose one that had voluminous draped fabric that was very beautiful. There was a variety of outfits to chose from and we were made over from top to bottom, including hair and makeup. Everyone here was made up beautifully in the end. At the end, we were in huge rooms where very large rolls of aluminum foil was stored in boxes. I recall that one of the boxes was marked 90 feet,, so these were not small rolls and the particular set of boxes I was in front of was at least five feet wide as well and 90 feet long. I don't know what was going to happen with this stuff, but that's what I remember seeing there. I heard no disagreements in this place. Everyone was passive, disinterested in where anyone was from - just wondering what was coming next and what we were going to do, which we had not been told as yet. Susan Lindauer (born 17 July 1963) is an American journalist, author, and antiwar activist. In 2003 she was accused of conspiring to act as an unregistered lobbyist for the Iraqi Intelligence Service and engaging in prohibited financial transactions with the government of Iraq under Saddam Hussein. Lindauer was found mentally unfit to stand trial in two separate hearings and all charges were dropped in 2009. Lindauer fought and won the right to refuse forced medication and was released in 2006. Lindauer is the daughter of John Howard Lindauer II, the newspaper publisher and former Republican nominee for Governor of Alaska. Her mother was Jackie Lindauer (1932–1992) who died of cancer in 1992. In 1995 her father married Dorothy Oremus, a Chicago attorney who along with other members of her family owned the largest cement company in the Midwest. Lindauer is also a second cousin of former White House Chief of Staff Andrew Card. Lindauer attended East Anchorage High School in Anchorage, Alaska, where she was an honor student and was in school plays. She graduated from Smith College in 1985. She earned a masters degree in public policy from the London School of Economics. She worked as a temporary reporter at the Seattle Post-Intelligencer for 13 weeks in 1987, and as an editorial writer at the Everett Herald in Everett, Washington in 1989. She then was a reporter and researcher at U.S. News & World Report in 1990 and 1991. She then worked for Representative Peter DeFazio, D-Oregon (1993) and then Representative Ron Wyden, D-Oregon (1994) before joining the office of Senator Carol Moseley Braun, D-Illinois, where she worked as a press secretary and speech writer. Lindauer states that that for a number of years she was worked as a U.S. asset for the CIA and DIA. She described her work with the agencies as undertaking communications with the Iraqi government, serving as a "back channel" in negotiations. Lindauer said that this was the basis upon which she started making visits to the Libyan Mission at the United Nations in 1995, with the meetings lasting until 2001. Lindauer has stated that some of the meetings included talks with Iraqi Intelligence Service officials at the United Nations. It is notable that her offer to act as a back channel in letters to her relative, Andrew Card who was then working as Chief of Staff to President George W. Bush in the White House, is what led to her arrest and charges of conspiring to act as an unregistered lobbyist. In his decision which found Lindauer mentally incompetent to stand trial (but which rejected the request made by prosecution to force her to take medication so as to become competent to stand trial), Judge Michael B. Mukasey noted that the severity of Lindauer's mental illness, which he described as a "lengthy delusional history," weakened the prosecution's case. In his decision he wrote, "Lindauer... could not act successfully as an agent of the Iraqi government without in some way influencing normal people.... There is no indication that Lindauer ever came close to influencing anyone, or could have. The indictment charges only what it describes as an unsuccessful attempt to influence an unnamed government official, and the record shows that even lay people recognize that she is seriously disturbed." On January 8, 2003, she delivered a letter to Andrew Card. In her letter, she urged Mr. Card to intercede with President George W. Bush to not invade Iraq, and offered to act as a back channel in negotiations. It was specifically this action which led to her being charged with acting as an unregistered agent for a foreign government. This action is the U.S. legal code enforced against spies, but applies to anyone who tries to act as an unregistered lobbyist. Andrew Card is her second cousin. Her first politically-related contact with former Chief of Staff was around 2001. Lindauer was arrested on Thursday, 11 March 2004 in Takoma Park, Maryland and charged with "acting as an unregistered agent of a foreign government". The indictment alleged that she accepted US$10,000 from Iraqi intelligence services in 2002. Lindauer denies receiving the money, but admits taking a trip to Baghdad, claiming it was on behalf of her work as a U.S. asset. She was released on bond on March 13, 2004, to attend an arraignment the following week. In 2005 she was incarcerated in Carswell Air Force Base in Fort Worth, Texas, for psychological evaluation then moved to the Metropolitan Correctional Center in Manhattan. In 2006, she was released from prison after Michael B. Mukasey ruled that Lindauer was unfit to stand trial and could not be forced to take antipsychotic medication to make her competent to stand trial. In 2008, Loretta A. Preska of the Federal District Court in New York City reaffirmed that Lindauer was mentally unfit to stand trial. On January 16, 2009, the government decided to not go ahead with the prosecution saying "prosecuting Lindauer would no longer be in the interests of justice." Lindauer has written and self-published a book "Extreme Prejudice: The Terrifying Story of the Patriot Act and the Cover-Ups of 9/11 and Iraq" about her experience. ^ a b c d e Samuels, David (August 29, 2004). "Susan Lindauer's Mission To Baghdad". New York Times. http://query.nytimes.com/gst/fullpage.html?res=980DE2DC143EF93AA1575BC0A9629C8B63. Retrieved 2008-11-07. ^ a b "Suspect in Iraq Spy Case Released. Lindauer, a Takoma Park Antiwar Activist, to Be Arraigned Monday.". Washington Post. March 13, 2004. http://www.highbeam.com/doc/1P2-154325.html. Retrieved 2009-01-26. ^ Overriding Mental Health Treatment Refusals: How Much Process is Due; Brakel, Samuel Jan; Davis, John M. 52 St. Louis U. L.J. 501 (2007-2008). ^ a b c "Case Dropped Against Md. Woman". Washington Post. January 17, 2009. http://www.washingtonpost.com/wp-dyn/content/article/2009/01/16/AR2009011604599.html. Retrieved 2010-12-29. ^ a b c d e "Ex-journalist in spy case unfit for trial". Seattle Post-Intelligencer. September 16, 2008. http://www.seattlepi.com/local/379317_iraqspy17.html. Retrieved 2009-01-26. ^ a b "Suspect is remembered as worldly". Anchorage Daily News. March 13, 2004. http://dwb.adn.com/front/story/4841671p-4779085c.html. Retrieved 2009-01-26. ^ a b c Dao, James (March 12, 2004). "An Antiwar Activist Known for Being Committed Yet Erratic". New York Times. http://query.nytimes.com/gst/fullpage.html?res=9804E0DF103EF931A25750C0A9629C8B63. Retrieved 2008-06-11. ^ "Neighbor Seemed Activist, Not Agent". Washington Post. March 12, 2004. http://www.washingtonpost.com/ac2/wp-dyn/A51972-2004Mar11?language=printer. Retrieved 2009-01-26. ^ "Ex-Congressional Aide Accused of Working With Iraqi Intelligence Before War". New York Times. March 12, 2004. http://query.nytimes.com/gst/fullpage.html?res=9F02E4DC103EF931A25750C0A9629C8B63. Retrieved 2008-06-11. ^ a b c Hartocollis, Anemona (September 9, 2006). "Ex-Congress Aide Accused in Spy Case Is Free on Bail". New York Times. http://www.nytimes.com/2006/09/09/nyregion/09spy.html. Retrieved 2009-01-26. ^ Weiser, Benjamin (September 16, 2008). "Woman Accused of Iraq Ties Is Ruled Unfit for Trial Again". New York Times. http://www.nytimes.com/2008/09/17/nyregion/17lindauer.html. Retrieved 2009-02-06. ^ Neumeister, Larry (January 16, 2009). "Case dropped against aide accused of helping Iraq". Associated Press. http://www.foxnews.com/wires/2009Jan16/0,4670,IraqSpyCase,00.html. Retrieved 2010-12-29. ^ Lindauer, Susan. "Extreme Prejudice". http://extremeprejudiceusa.wordpress.com/. Retrieved 2010-12-01. AMY GOODMAN BETRAYED SUSAN LINDAUER -- the cousin of the Chief of Staff of President Bush, a CIA asset, who warned about 9/11, and was locked up on a military base under secret Patriot Act charges FOR 5 YEARS, was chief asset between the US and Iraq, and all Amy Goodman could say on the phone to Susan's friend was "Well you know, maybe her attorney thinks this is a good strategy... blah, blah, blah..."
Listen to the truth about Amy Goodman at http://www.youtube.com/watch?v=ZduBKkQ6WJg at 1 Hour 14 minutes 30 seconds. Mar 17, 1999 – The comments on the mission of some of these camps are from Clarence Napier whose ... DOC, it list all the camp locations in each State. A few miles from the city of Sabzevar, the reception and quarantine camp is, at first sight, ... On each side of the camp the refugees live in solid concrete shelters. www.greatdreams.com/concentration-camp-locations.htm. ORGANIC AND PERMACULTURE GARDENING ... BD-Now Biodynamics Forum. RF's Rural FAQs. 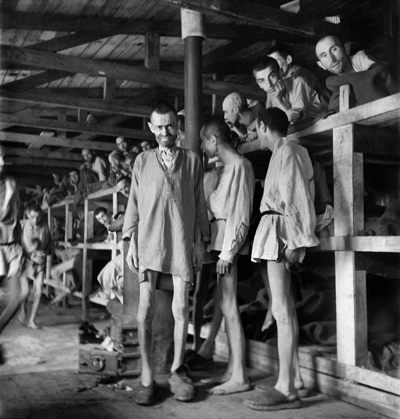 Oct 12, 2011 – Concentration Camp Locations - DREAMS OF THE GREAT EARTH ... If you live anywhere near one of these camps and have seen it . 44 Nevertheless, in their presumption they went up toward the high hill country, though neither Moses nor the ark of the LORD's covenant moved from the camp. A shocking U.S. Army manual that describes how “political activists,” including American citizens, are to be indoctrinated in re-education camps also includes rules on forced labor and separating political prisoners by confining them in isolation. Aside from detailing how PSYOP teams will use “indoctrination programs to reduce or remove antagonistic attitudes,” as well as targeting “political activists” with indoctrination programs to provide “understanding and appreciation of U.S. policies and actions,” the manual directs political prisoners to be separated from the rest of the camp population. As we have exhaustively documented, all these provisions apply not only to prisoners in places like Afghanistan and Iraq, but also to American citizens domestically, including “civilian detainees” incarcerated for “security reasons, for protection, or because he or she committed an offense against the detaining power,” as part of “domestic civil support operations” involving FEMA and the Department of Homeland Security. The manual details how prisoners will be identified by their “social security number,” another glaring confirmation that the rules apply to U.S. citizens. The document makes it clear that the rules apply to processing American detainees on U.S. soil so long as the President passes an executive order to nullify Posse Comitatus, the law that forbids the U.S. military from engaging in domestic law enforcement. Although this story has gone viral amongst independent media outlets, the only mainstream news operations to cover it have been Russia Today and Digital Journal. Having studied all the documents, Digital Journal writer Anne Sewell confirms all the points of our original article – that the manual does describe how to re-educate political activists and that its policies do apply to U.S. citizens domestically. 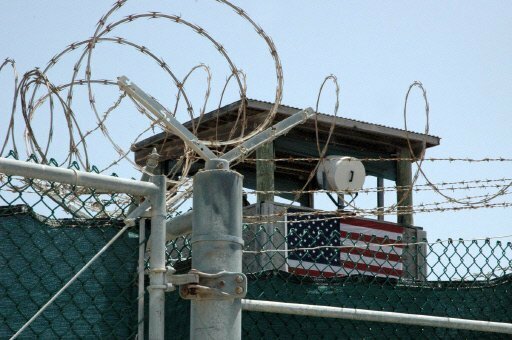 "A shocking U.S. Army manual that describes how political activists in prison camps will be indoctrinated by specially assigned psychological operations officers contains numerous clear references to the fact that the policies do apply domestically to U.S. citizens." "1987: Then U.S. Attorney General William French Smith blew the whistle on a fairly low ranking Marine officer by the name of Oliver North. According to Smith, Lt. Col. Oliver North directly helped draft a plan in 1984 to impose martial law in the United States in the event of an emergency. This secret plan would suspend the U.S. Constitution and turn over control of the government to the little known agency at that time: FEMA. This plan would appoint military commanders to run state and local governments. Implementation of this plan would have been triggered by violent and wise spread internal dissent, disagreement with government policy or national opposition to any U.S. military invasion abroad. Essentially, it amounted to a complete and total suspension of the U.S. Constitution and Bill of Rights. "Investigators who uncovered this plan believe that between 1983 - 1986, North's office was the 'central command center' for this informal secret structure which involved more than the illegal sale of arms to Iran and illegal funding of the underground war in Nicaragua under President Ronald Reagan. "Lifers" in the military were shocked, saying at the time that no Lt. Colonel is ever given the kind of power North was apparently given within this secret structure. So great was his authority, he could have the orbits of sophisticated satellites altered to follow Soviet ships around the world or launch high-flying spy aircraft on secret missions. Some even compared this whole operation as eerily similar to the one portrayed in the movie, Clear and Present Danger, starring Harrison Ford (1994). "North wasn't alone in this secret structure. Others included Reagan's closest advisers: U.S. Attorney General Edwin Meese, CIA Director William Casey and National Security Adviser William Clark. Congressional investigators at the time were shocked by how far along this secret structure and planning had progressed. Arthur Liman, who was the chief counsel of the Senate's Iran-Contra committee stated in a memo that Oliver North was at the center of what he called a "secret government within a government." Prior to those hearings, Liman wrote that a policy decision made at the highest levels during the Iran Contra scandal "...reveals the whole secret government within a government, operated from the Executive Office Building by a lieutenant colonel with its own army, air force, diplomatic agents, intelligence operatives and appropriations capacity." Think Ronald Reagan didn't know what North was doing? Section 1-3 of that Army Training Manual cited in the first link above talks about military and civilian internees. If you read the entire Contents section it appears to be written for overseas operations. The designation CI (civilian internee) is used in the charts. No doubt we'll hear all sorts of protestations by government lackeys this doesn't apply to you and me. Anyone who believes anything coming out of Washington, DC, anymore is either in denial or a damn fool. "In a riveting interview on TruNews Radio, Wednesday, private investigator Doug Hagmann said high-level, reliable sources told him the U.S. Department of Homeland Security (DHS) is preparing for “massive civil war” in America. Folks, we're getting ready for one massive economic collapse,” Hagmann told TruNews host Rick Wiles. “We have problems . . . The federal government is preparing for civil uprising,” he added, “so every time you hear about troop movements, every time you hear about movements of military equipment, the militarization of the police, the buying of the ammunition, all of this is . . . they (DHS) are preparing for a massive uprising. "Hagmann goes on to say that his sources tell him the concerns of the DHS stem from a collapse of the U.S. dollar and the hyperinflation a collapse in the value of the world's primary reserve currency implies to a nation of 311 million Americans, who, for the significant portion of the population, is armed." "The old adage says that imitation is the sincerest form of flattery. But actually, that's not always true. In the world of writing and research, imitation is the most insincere form of armed robbery. But, at least in a real armed robbery, you usually see the guy with his gun and you know he is stealing from you. With plagiarists, they just steal your hard work behind your back. That was the case with the so-called Northeast Intelligence Network a/k/a NEIN a/k/a HomelandSecurityUS.com and its main operator, Douglas J. Hagmann, who on Monday, ripped off something I wrote–passing it off as the work of himself and his site's “investigators,” who apparently don't even exist. If the intelligence and terrorism expertise business is a matter of stealing the work of others and passing it off as your own, then I guess he's good at it." I don't know those individuals, but what I do know is none of this is new - except the Department of Fatherland Security. A draconian enforcement arm for the traitors working to destroy this republic, kissed and blessed by your incumbent in the Outlaw Congress and mine. When I say not new, the shadow government has been planning for civil unrest for a long time. As the economy continues to tank, millions more unemployed and millions more Americans see everything they've ever worked for blown away like a puff of smoke, the powers who really control our lives know things could get messy. No one in their right mind wants that, but between the agitators, who I believe are paid by the government, and the jackass fools in the Occupy Movement, very likely could set things off. That would set the government's propaganda machine into overdrive with you and me as the target. "Bill of Rights No Obstacle for the [Marine] Corps. This piece exposed the mindset way back then that at some point due to: "...the rising potential for civil disobedience within the inner cities it is 'inevitable' the U.S. military will be employed more often within American borders." Read on: "The next real war we fight is likely to be on U.S. soil." That huge essay goes on to talk about military operations against Americans right here at home - in your state, in your town. In 1999, another report, which I have and scanned, is titled Homegrown Extremists, International Association of Under Cover Officers. That report covers: Know Your Enemy - Who Are They? How did it get this way? Recruiting and evolution of extremists; public meetings, pro-life movement, churches. Conspiracy theories: The New World Order, the Federal Reserve and so forth. You can read it all here; the instructors are listed on page two. I am fully aware that the Department of Fatherland Security has ordered more than 750 million rounds of ammunition over the past few years as well as other alphabet soup agencies. I also continue to get the constant barrage of emails about gun grabbing efforts, how the IRS has the right to take away your guns and on and on and on. Does anyone ever do anything about it? Sure: "Send your donation now to protect your Second Amendment rights!!!" That is the ever constant mantra from organizations that depend on the never ending fight to protect the Second Amendment. It's their paycheck. There's no money in the cure, only the treatment. Remember that. The solution to all of this is still there and continues to be ignored while everyone keeps on whining. Aw, gee, Devvy, we're just trying to fight the gun grabbers in Washington. Well, hasn't it occurred to folks by now that all that fighting ain't fixing the problem? The only solution is the constitutional militia. Not private militias, but the militia as stated in the Second Amendment "...being necessary to the security of a free State..". As I have written before, there are a lot of private militia in this country doing great work. Dedicated Americans training to help law enforcement with natural disasters and things of that sort. However, it has to be your state legislature that writes the statute for your state and gets your governor to sign it into law and if vetoed, override the veto. • The Constitutional Militia, Slavery, & Contemporary "Gun Control"
To help everyone because of time constraints, I did put some of Dr. Edwin Vieria's columns on the militia on a CD so you can listen in your car during your commute to work or travels. You can download that CD here for free; make copies and hand them out at gun shows, group meetings and to family and friends. Get Edwin's book, Constitutional "Homeland Security," Volume One, The Nation in Arms. It's not a huge tome, but you will learn as I did the true meaning of the Second Amendment. Cost is $19.95; VA residents add 5% tax. Send to: Edwin Vieira, 52 Stonegate Court, Front Royal, VA 22630. For those who find a DVD easier for them, order The Purse and The Sword: "This seminar featuring Dr. Edwin Vieira, Jr. is the single greatest presentation regarding the Constitutional remedies and powers available to both the people and the national government to deal with our economy and homeland security challenges. Dr. Vieira presents his "visual Constitution" to make plainly clear what should and must be done for our nation to deal with these present and ever-increasing crisis." It is one of the most powerful tools I've ever seen and every Tea Party chapter, 9/12 groups and other patriotic groups should view. 4 DVD's, 8 1/2 hours. It's also THE one thing you need to send to your state representative because that is where the constitutional militia will be reconstituted. Not by the NRA. If money is tight, split the cost with like minded patriots, but get it. SB 1083 was in the hopper out in Arizona this year: "Would establish the Arizona State Guard, a volunteer military force under the control of the Governor, for the purpose of "securing the safety and protection of the lives and property of the citizens of this state." Their legislature has gone out of session; the bill never made it. If you live in Arizona, you might wish to join up with the Arizona Citizens Defense League - they are growing strong and they are active. The only thing that is going to get state legislators to realize our very survival depends on reconstituting the constitutional militia is boots on the ground. Instead of wasting more time and money "fighting the gun grabbers", every gun owner must understand that only massive heat directed at your state representative and senator is going to get this done. That means opening a dialogue with him/her. Try to get a meeting and sit down with your representative as a group. Even if your state legislature is out of session, go to your state representative's web site. Many of them list their home phone. If not, call their local district office. Invite him/her to a breakfast or lunch or meeting. Give your representative the CD with Edwin's columns and ask he/she to listen to it and you'll get back to them. Follow up is critical. If you can, order a copy of the Purse and Sword. Hand deliver it to your state representative and make it politely understood that if he/she wants to get reelected in November, this has to be a top priority for the 2013 session and you will hold them accountable. If you are armed with the facts and present them - not as an attempt to go to war with the General Government because it's not - but from a constitutional perspective, it will go a long way towards erasing propaganda about the word militia. There was a reason the framers of the Constitution worded the Second Amendment as you see above. Until I began reading Dr. Edwin Vieria's scholarly and thoroughly researched columns, I really did not understand the brilliance of that one sentence. A state cannot be free when the General Government continues to send their thugs inside the state terrorizing citizens over things like raw milk or "laws" that allegedly give them the "right" to arrest and detain citizens under the vile "Patriot" Act and subsequent draconian laws. Nor can the people of any state be free when local law enforcement turn into thugs who use tazers on handicapped folks, the elderly and stomping on your God-given rights just because they wear a badge. Stress this fact to your state legislator: The legislatures can't keep fighting every "law" that comes out of Washington, DC, further eroding our rights, liberty and freedom. Quit trying to climb a sand dune. The solution is right there.